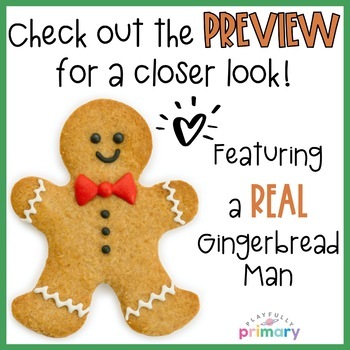 These gingerbread man addition frames feature real pictures of gingerbread men. 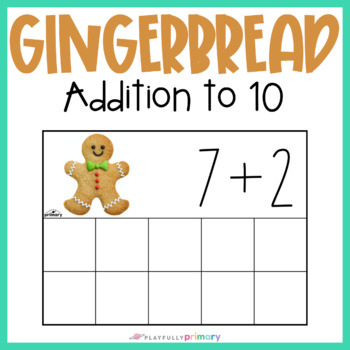 Perfect for Christmas and winter themes! 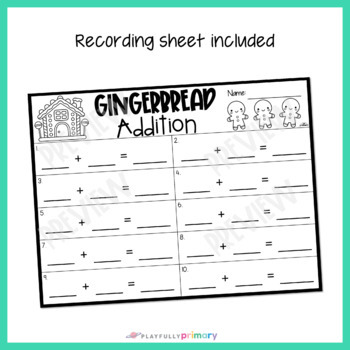 Preschool and Kindergarten students can use these with gingerbread man mini erasers, gum drops, pom poms, beads, table scatter, or vase filler. 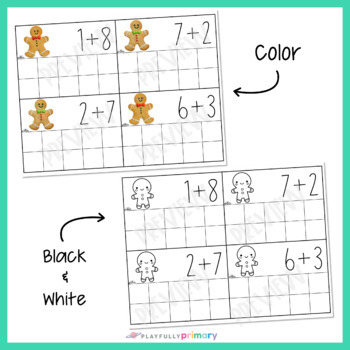 These gingerbread man activities are great for math centers, morning work tubs, busy bins, and Montessori.